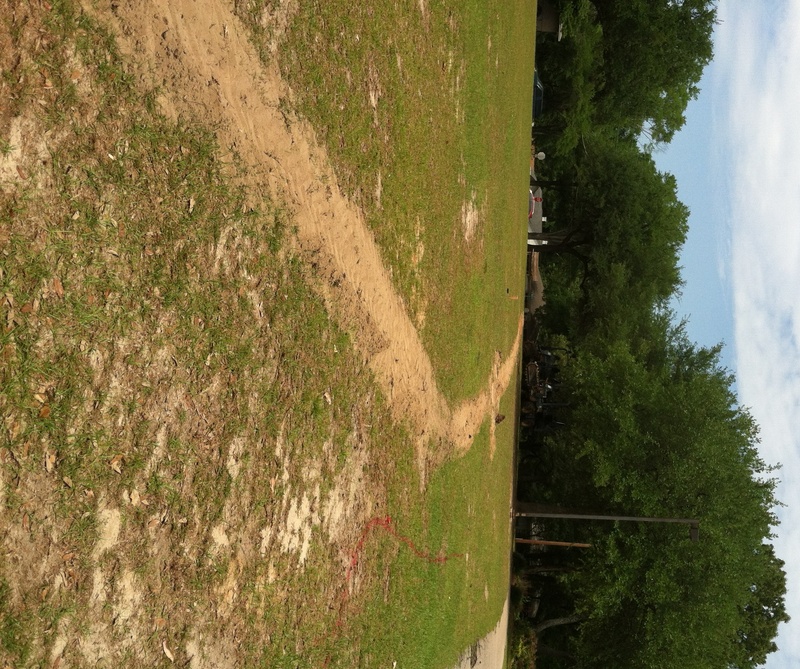 The City of Columbia is planting the rain garden at Rosewood Park on Monday, November 19th, at 9 a.m. Please join us! Volunteers should dress comfortably and warm, in clothes that can get dirty. Call 545-3227 with questions. 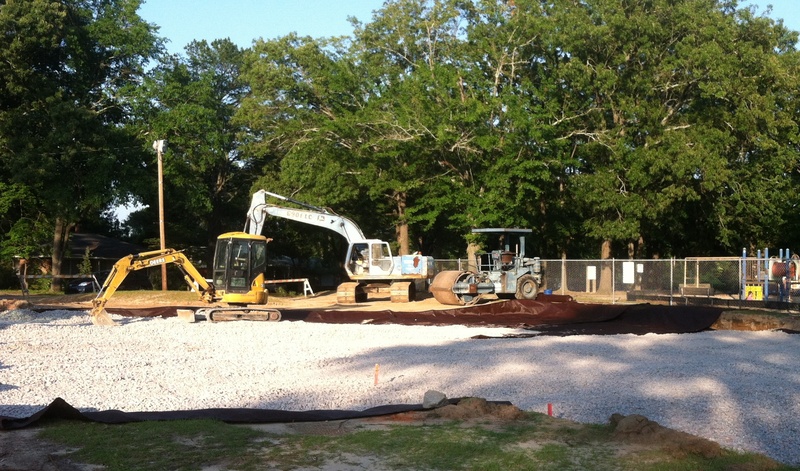 Once the rain garden is planted, the parking lot project will be complete! 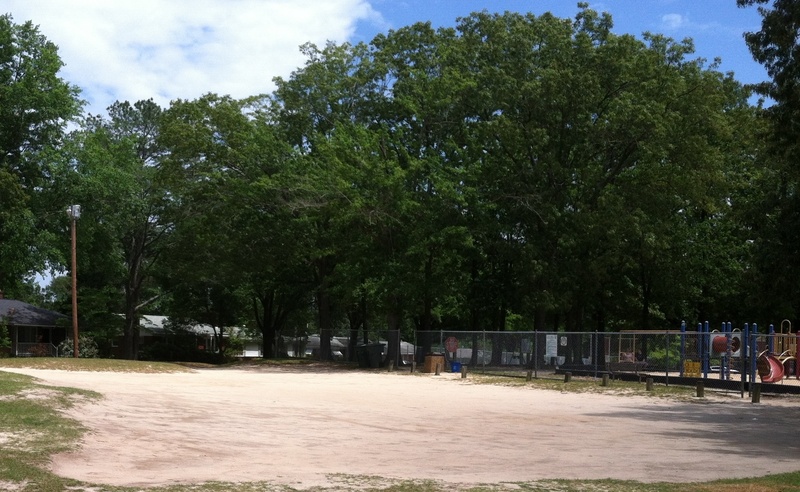 The parking lot at Rosewood Park was paved in 2012 using a new permeable paver called PaveDrain. 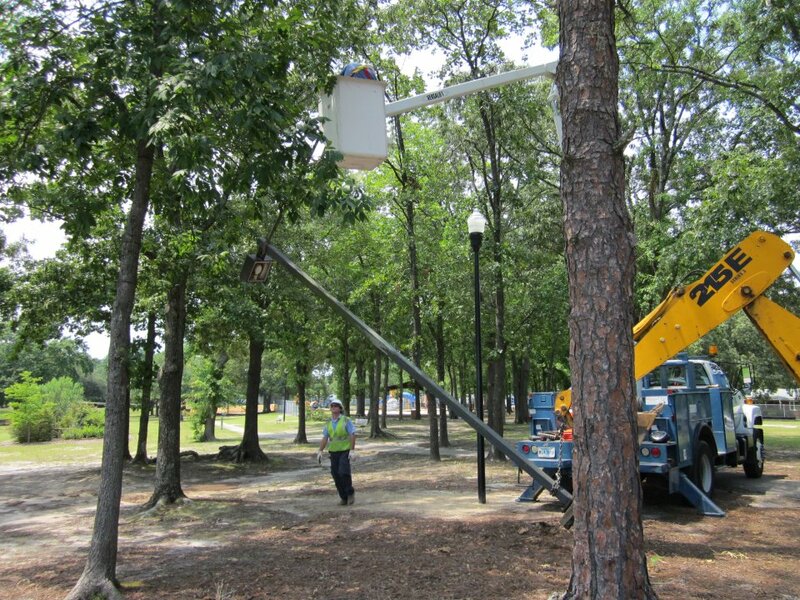 This is the first site in the state of South Carolina to use this new technology. Rainwater drains between each of the concrete blocks, into a sublayer of rocks, then into a nearby rain garden. The rain garden is designed to absorb a lot of the excess rain, reducing storm water runoff. 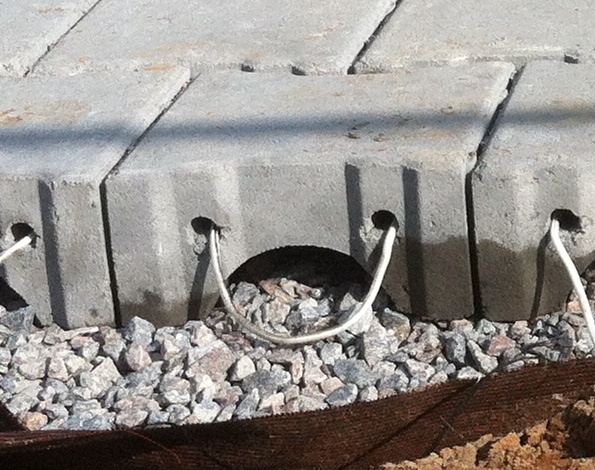 Close up of a PaveDrain paver. The arch functions to collect extra water during heavy rainfall. 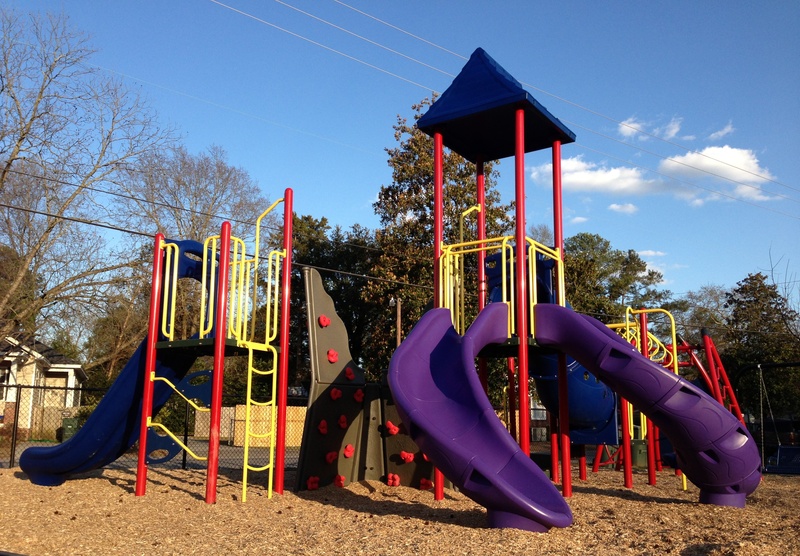 Find out about planned improvements at Rosewood Park and Valencia Park here. 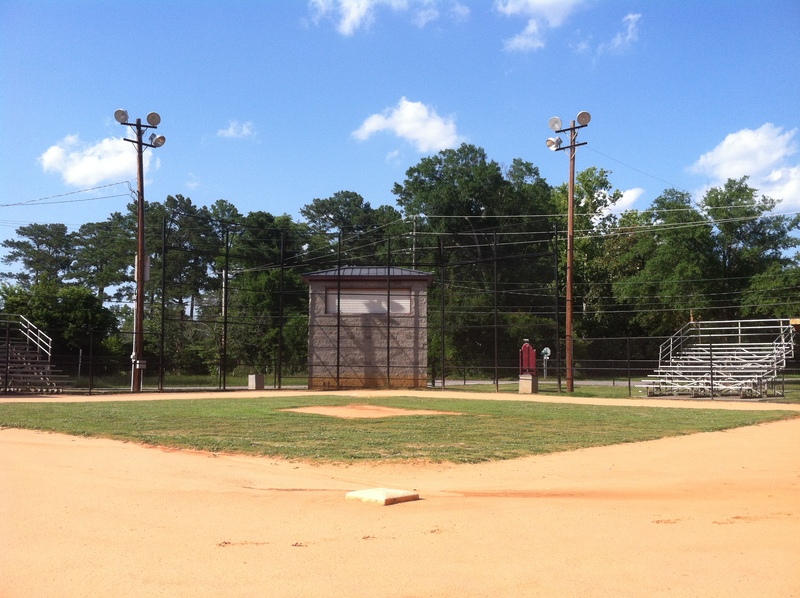 As of November 2012, Rosewood Park has a new parking lot, a rain garden, and new lights. Read details about the construction below. 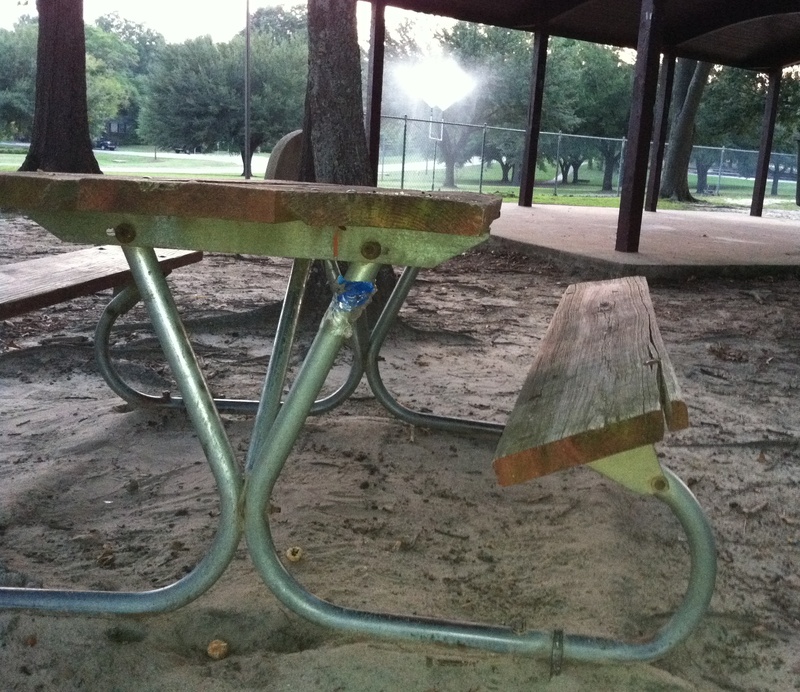 The park will soon be getting new playground equipment, benches, tables, and a newly-resurfaced basketball court. 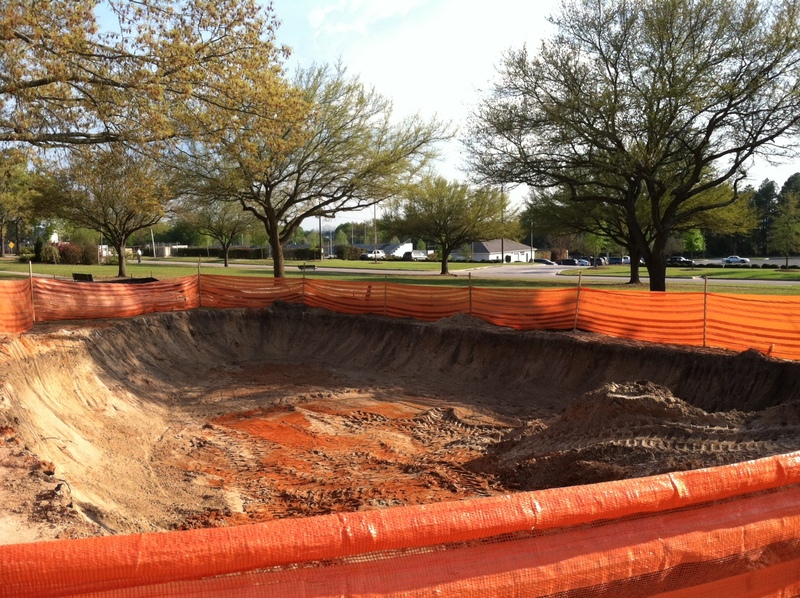 Permeable soil is added to the hole where the rain garden will be. The rain garden is planted with water-loving, native plants. Here is some more information on rain gardens. 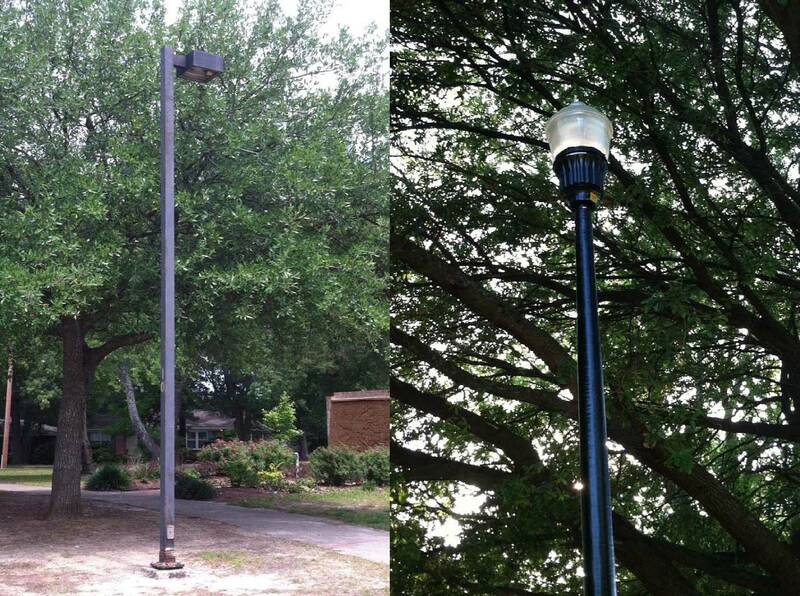 A new lighting scheme was implemented to provide greater lighting of the park, without unnecessarily intruding into neighbors’ yards. The city dug trenches for the new conduits for the lighting system. 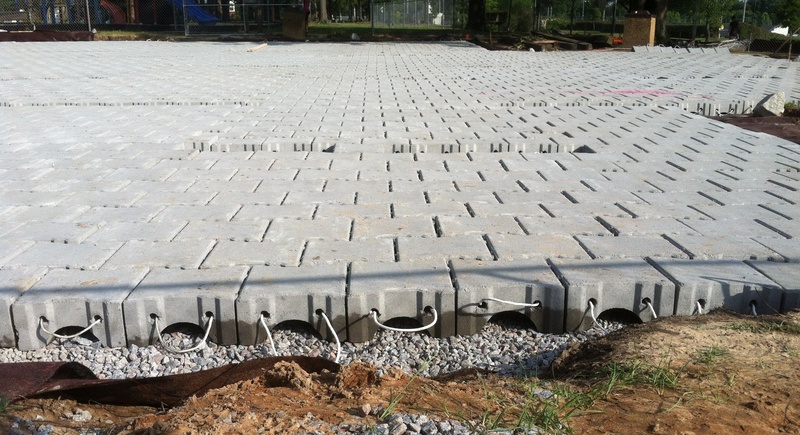 Permeable pavers called PaveDrain were used in the new parking lot. This is the first site in the state of South Carolina to use these pavers, which help to reduce stormwater runoff. You can read a little more about that process here. 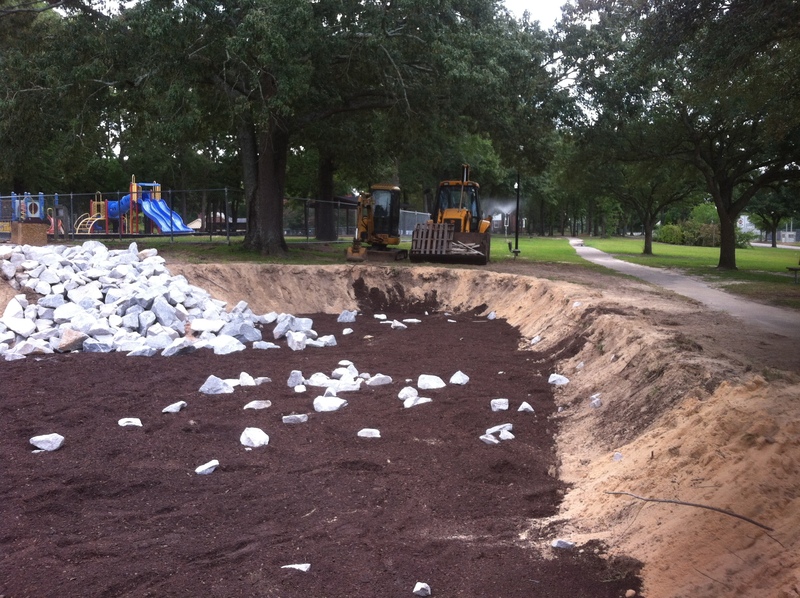 A 12 inch sub-layer of rocks is installed. 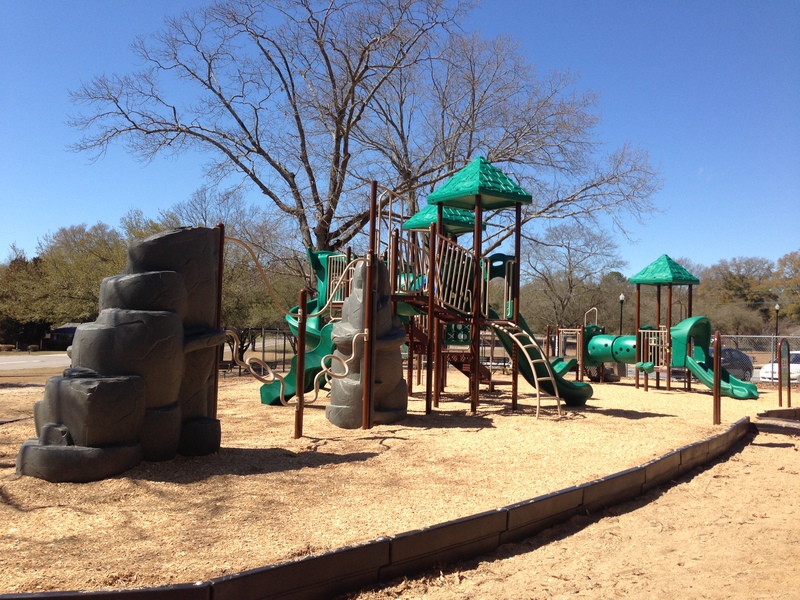 Read about more improvements planned for Rosewood Park and Valencia Park.